Want it by Thursday 25th April? Order within 17 hours, 49 minutes and choose Royal Mail Tracked 24 Hour at checkout. Barbour have taken the iconic Beadnell Jacket and created a new fresh design featuring the iconic William Morris print on the outer wax as well as the inner lining. 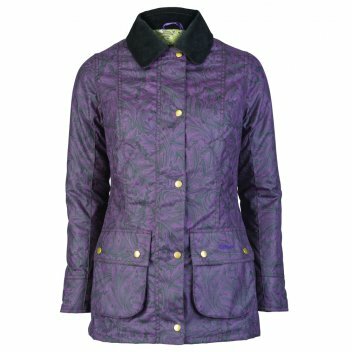 The classic wax jacket has been uplifted to form a stunning piece featuring the famous Acanthus print, however staying true to the Barbour style with a corduroy collar and tonal Barbour embroidery on the pocket flap. A must have to create a statement look this A/W.